Tell me your not feeling Aoi’s style? Just tell me! Aoi, which BTW means Blue in Japanese [hence the smart title ;-)… I’m such a genius of small things I feel], totally caught my attention from across the room with her Paul Smith purse. Perfect accessory to carry around at an art exhibition I say. Wonder if it was a PS-1 special. And when I got closer to her I realized how cool her curvy hat was. And then the vintage scarf and then the cool asymmetrical dress and the belt and the shoes, etc. A complete head to toe love for her look. 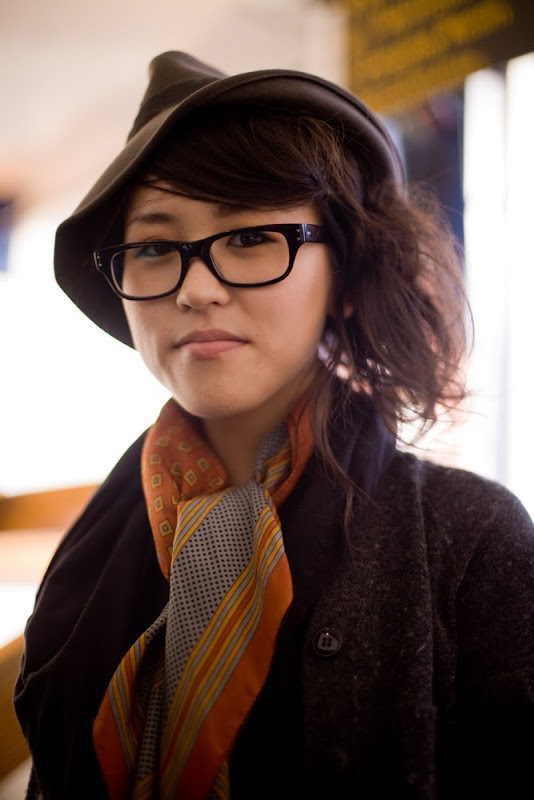 Aoi is a Japanese Calligrapher working at an art gallery in San Francisco. Loving her look :)) The bag is awesome! Great outfit, love the bag!!!! Super cute! 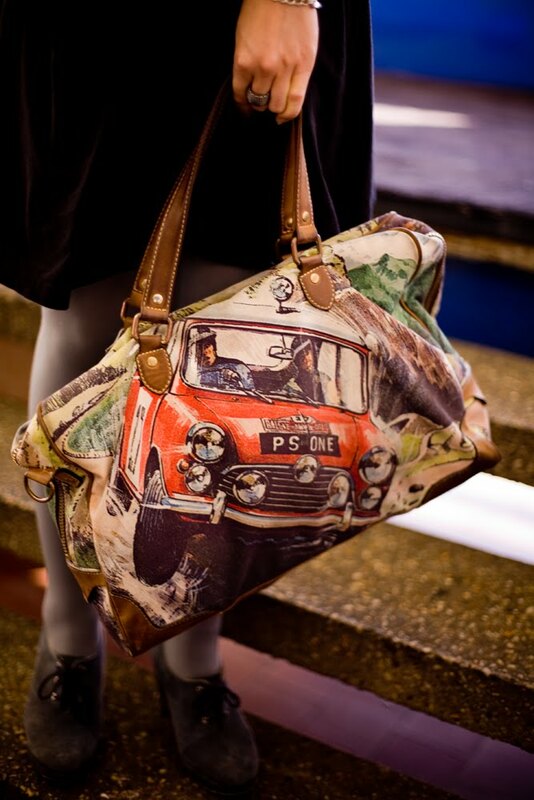 I want her bag! Paul Smith made a killing with those bags. 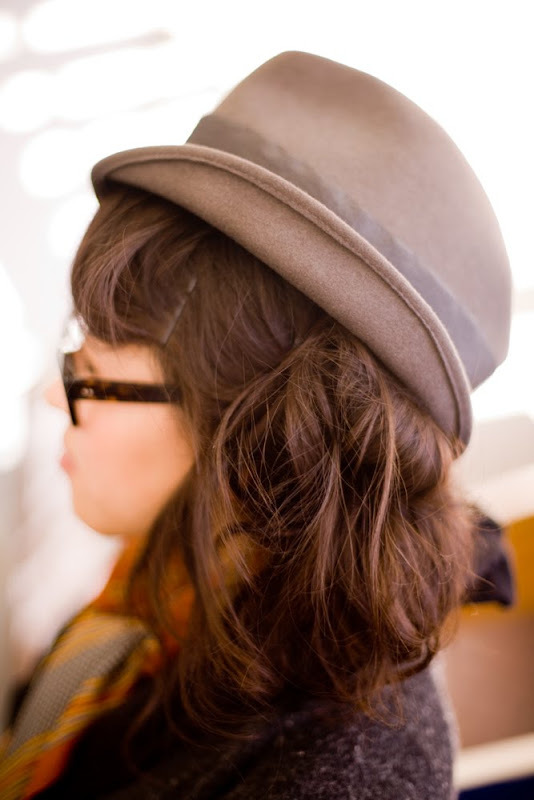 I love her hat! I want it. V interesting stuff seriously... love the way she has coupled up her dress with that hat, scarf & yesss... that awesome looking bag! Awesome shoot. Really love these photos.